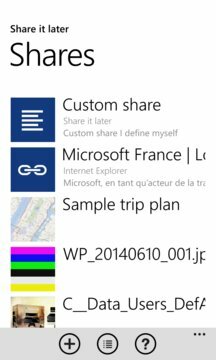 Share it later is an application that allow you to quickly put aside contents you want to share from an application and come back latter to share it to another application. It is useful when you can't share contents at the time you are accessing it (like if you are offline) or if you don't want to share contents when you see it (like if you want to continue your experience in the sharing app). 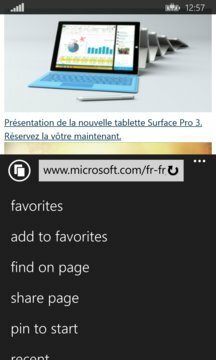 Share it later is compatible with links, texts and images.